The Cygnus cargo vehicle that launched on Sunday has safely arrived at the International Space Station, where it was successfully captured via robot arm by NASA Flight Engineer Kjell Lindgren at 6:19 a.m. EST. 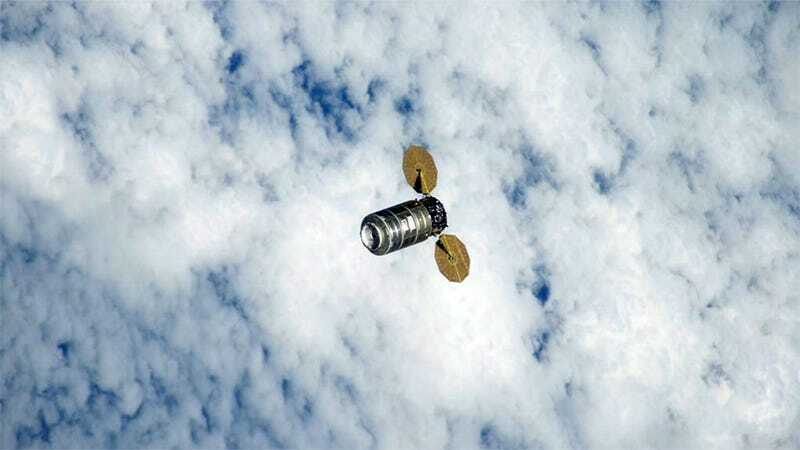 The image above, which was tweeted by Cosmonaut Sergey Volkov, shows Cygnus shortly before it arrived at the ISS. The unmanned cargo spacecraft will now be positioned on the ISS, so that its 7,000 pounds of supplies and research material can be transferred into the orbiting outpost.